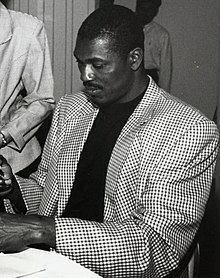 Hakeem Abdul Olajuwon (born Akeem Abdul Olajuwon on January 21, 1963, in Lagos, Nigeria) is a former professional basketball player whose best seasons were with the Houston Rockets of the National Basketball Association. He was reverently nicknamed "Hakeem the Dream" for his grace on and off the court. Being from Africa is the best thing that could have ever, ever happened to me. I cannot see it any other way. All of my fundamental principles that were instilled in me in my home, from my childhood, are still with me. And now, when I look at the system here and look at my position--not just as a basketball player, but when I look around me at the values of the people and the culture and compare them with the values of where I came from--I feel so blessed to be from Africa. I respect a lot of players in this league. But to me basketball is just a little aspect of my life. I enjoy the game because it's fun. But it is a game. My life is very simple. I like simplicity and for my time to be my own, so that I have the freedom to devote the majority of it to Islam. That is the foundation from which I keep everything in perspective. I also want to let people know about Islam, how Islam can be a way of life. I want them to really understand its richness and its beauty and to see that Islam is for everybody. For me, this is the most important thing. From this, everything else falls into place. The people who run the show in the NBA don't know anything about Islam. I think that may also be why some people are against me personally--because I am a Muslim. It's the same way people can be against you because of the color of your skin. They don't look past these things. But it always depends on the individual.